Work is done and it’s time to hit the Dam!!! Grab your bag, print your e-ticket and make sure you've got your passport on you because here we go! Make sure you get to the Student Union (on your e-ticket) at least half an hour early and meet your Outgoing Reps who will check you and your group on to the coach before setting off. Gooood morning! 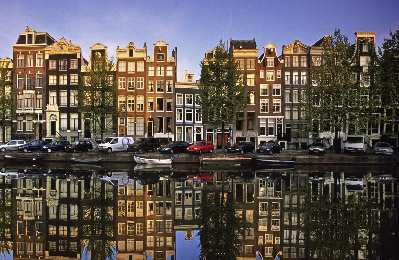 We have arrived; welcome to the Venice of the North, our flagship destination; the cultural mecca of Europe - Amsterdam! This is our home and our reps will help you get your belongings off the coach at the Heineken Brewery drop off point, from here it is just a 5/10 minute walk to the Hans Brinker Hostel. On arrival, they will give you a brief introduction to the city, a breakdown of your itinerary if needed and provide you with some hints and tips too. Check-in time is at 14:00 so our staff will direct you to a safe-storage area within the accommodation, just to the left of the lift downstairs in the club. We advise you to grab a bite to eat for brunch; we recommend trying out La Place at the V&D food hall just off the Kalverstraat or the Stache does some amazing waffles, croissants, our favourite is the Mozzarella and Chicken pesto roll and the added bonus is it’s just over the road. 14:00 is the standard check-in time so hopefully you will have grabbed some brunch and got your bearings around where we are staying. If you can't remember or don't know who you have allocated to room yourself with, then our staff will be on hand to help you identify who you are with whilst they are dispensing the keys out. After you have been checked-in, then you are free to explore the city! Go do some shopping, visit the museums or prop up at the bar! If you are up for getting involved with any of the extras we offer, like the bike tours or canal cruises and you haven't booked online; then, ask any member of our in-resort team. Once the clock hits 5pm it's Happy Hour in Amsterdam; our bar in the accommodation offer 2-4-1 on drinks so make sure you're back in time, our Reps love getting involved in a few rounds of Brinker Beer Pong too! If Happy Hour has given you an appetite, or perhaps it was from exploring this magnificent city all day, either way; your Outgoing rep has some Meal Vouchers for the Brinker Bar at €8 each. These include any meal off the menu, plus a drink from the bar and a drink from the club. What a bargain! Especially when the menu starts at €7! And you'll need your energy too as tonight its Outgoing’s big night out and tonight we aren’t just going Out, we’re going Out Out! So be sure to get your free t shirt from the reps as we will be taking you out to some popular bars in Amsterdam. We will get you in for free, and the bar will greet you with a free shot on entry too. They have different themed nights each week so you may get lucky and be there at our favourite full moon party. We will be leaving the accommodation at 10:00pm so make sure you meet us in the bar from 9:00pm for some beer pong beforehand. Rise 'n' shine; the Hans Brinker do some of the best pancakes in Amsterdam, but they go quickly. Breakfast is served from 8am - 10am and is included within your package, so make the most of it. Your Outgoing reps will be in the bar for any questions or recommendations!! If you fancy a chilled out day, we suggest visiting one of the many parks in the city, like the Vondelpark or Westerpark; both have hidden gems and cafes within them to explore. If you're up for some site seeing though why don't you join us on our bike tour? It leaves from right outside of the Hans Brinker at 11pm and if you didn't purchase it online then our resort Reps will get you booked on. It's an hour and a half tour of all of the 'Dams famous landmarks, including the Old Church, Red Light District and the canal network. If you're still recovering from the night before or aren't up for bike tour then later on this afternoon we're doing our renowned canal cruise. It's a less intense way of seeing the sights, such as Anne Frank’s house and the Rijksmuseum; but without all the pedalling. 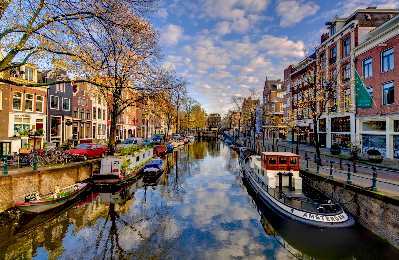 To cap off an incredible weekend in your new favourite city, we are offering two different types of bar crawls; a full-on party bar crawl within the popular Leidseplein clubbing district of Amsterdam or a more chilled out, bar tour of the Red Light District. 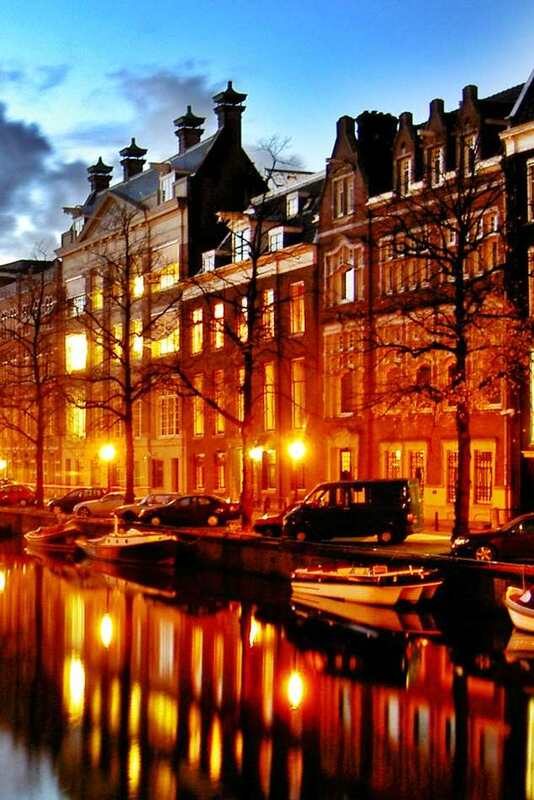 Both offer a unique experience to the bars and clubs that Amsterdam offers. With a free drink in each bar and both bar crawls culminating in the same student super-club; this is the ultimate way to end your trip! If that doesn’t take your fancy why not join the Outgoing reps for a game of "Lost in Amsterdam" - our very own scavenger hunt!! Full of challenges and dares, the perfect way to see all those last minute places!! What an adventure!! It is that time to sadly check-out! Make sure you have gathered all your belongings and have your passport in your hand-luggage as it will be checked at customs. You have to be checked out by 10am. Give your key into the rep in the Hans Brinker bar and check your itinerary for your departure time. You may have an hour to kill so go out and grab those last minute Instagram photos or grab a coffee and a waffle. You're on the bus on the way home so get those photos online and make all your friends back home jealous of the incredible weekend you have had! 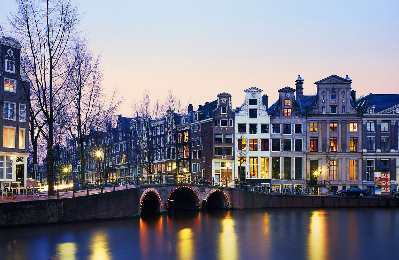 Amsterdam is not just famous for its Red Light District and coffee shops; it’s a city overflowing with history, culture and fun. In among its amazing, historical architecture is a modern attitude and a friendly and relaxed environment, you can’t help but fall in love with. 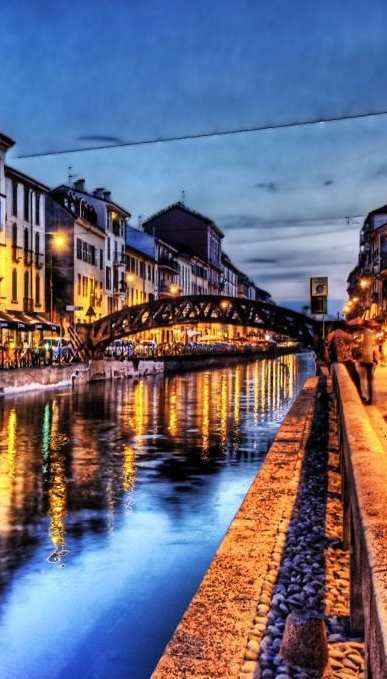 The intimacy of its meandering streets, canals and squares create an atmosphere that you will find utterly compelling. 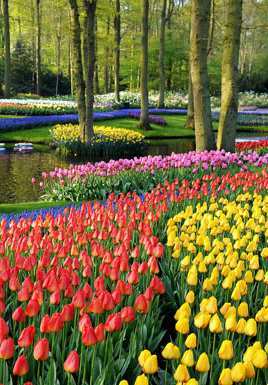 Amsterdam has the highest density of museums in the world, such as the Van Gogh Museum, Anne Frank House and the Rijksmuseum. 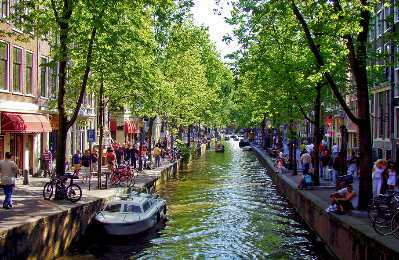 Make sure you take a canal tour or hire a bike, both unforgettable ways to see the sites. 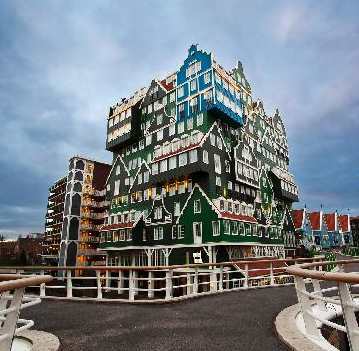 Situated on Kerkstraat round the corner from Leidseplein cafe-square the Hansbrinker Hotel is ideally located in the centre of Amsterdam and within walking distance to some of the city's best bars, cultural highlights and eclectic night spots. A great lively atmosphere with a very laid back typically Amsterdam style this fantastic hostel also features it's own large bar (with 2-4-1 drinks offers!) and late night basement nightclub where you can party with other residents! All in all the Hansbrinker remains one of our all time favourite hostels in Europe!